I am super excited to be welcoming Young Adult fantasy author J.D. Evergreen to The Writing Greyhound for a chat about her novel Celestia. From inspiration and influences to books galore, it's time to find out all about the author! 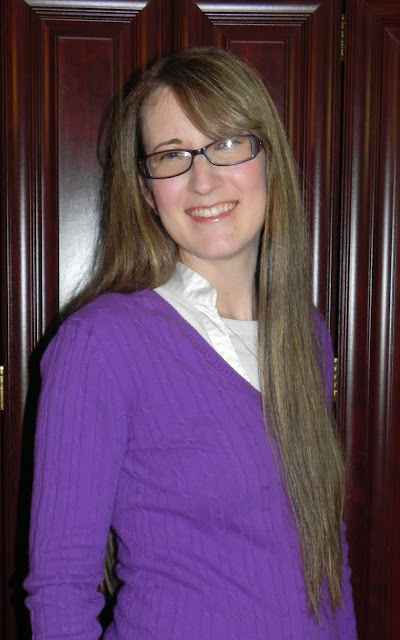 Of course, I’m Jessica Evergreen; I'm a YA author in the fantasy genre and a self-confessed tea addict. How did you originally become interested in writing? I used to read and re-read Dr Seuss' Green Eggs and Ham, I read the book so many times it fell apart and my mum had to buy a second copy. After that, I started to write my own books and gave them to my family. Over time this progressed to short stories I would tell over dinner and eventually to novels. Celestia is a story about a young woman named Taliah. 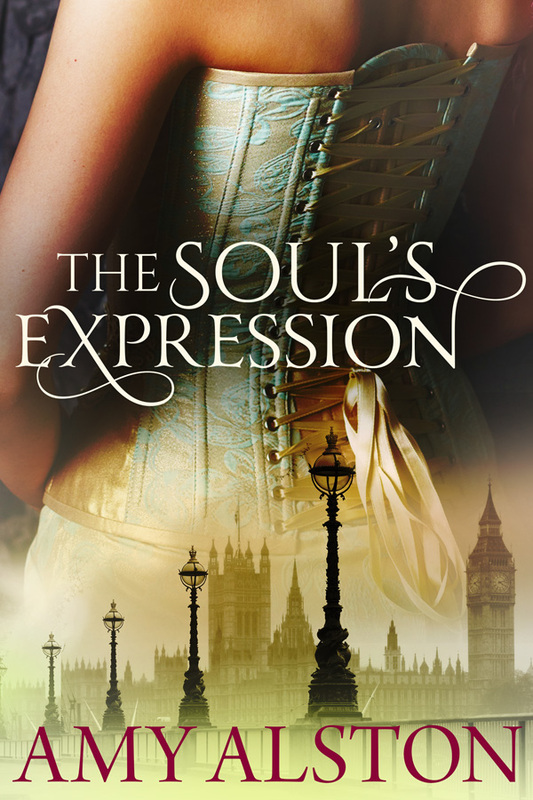 The day after her twenty-first birthday her world is turned upside-down when the king dies without an heir. A man she has never seen before arrives in her town claiming to be someone they should know. The stranger is unusually charismatic and persuasive; with the use of magic, he brainwashes the town, an act that is forbidden by law and orders them to follow him to war against Celestia so he can establish himself as king. Taliah and her friend manage to escape the brainwashing and take it upon themselves to warn Celestia before the stranger's army can arrive. Along the way Taliah will discover things about herself she never expected to learn - she will have to develop the strength to fight her self-doubts, fall in love and risk everything. I didn’t really decide to write for young adults, it’s just something that happened. 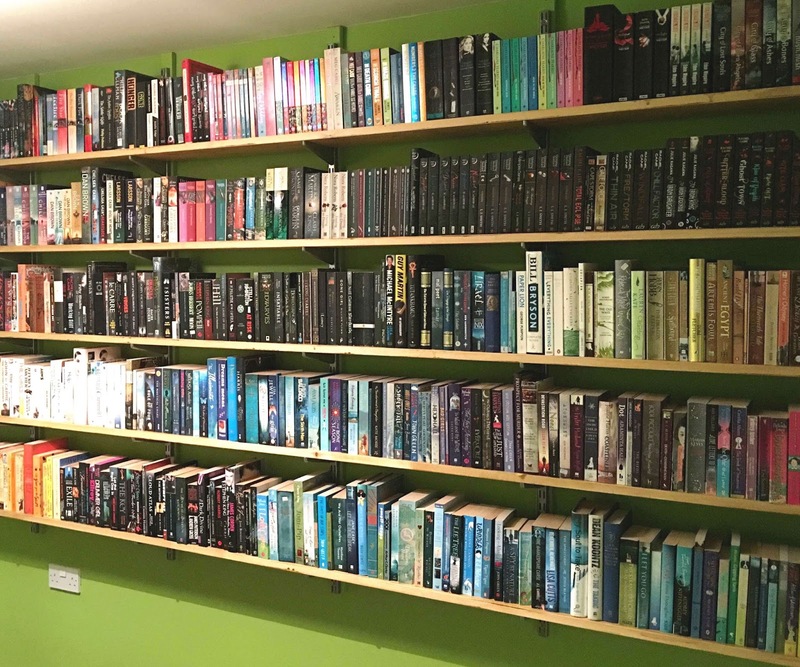 Young adult books are the genre I prefer; my own personal bookshelf is filled with books like The Hunger Games, Wolf Brother and The Chronicles of Narnia. I connect with young adult books; they draw me in and keep me in their worlds. Who doesn’t like magic? Grand adventures? Bravery and compassion found amongst the most ordinary of people? I love creating whole new worlds, building a place where people can escape the daily experience of their lives and join a story where they can be the hero, where they can experience a great historical moment, where they can find companionship and friends, all in a world without boundaries or limitations. Writing a book is always a challenge. I have to learn the lives of new people, step into the shoes of people in situations I have never been in, and describe a story that grew within me so others can feel it, sense it, and experience it like I do. It is a challenge, but it’s the most enjoyable kind. That’s a difficult question because every story involves so many components and each of them may have a different influence. I originally started this story as a sort of companion to another book I wrote called Shadowsoul, which is still unpublished. 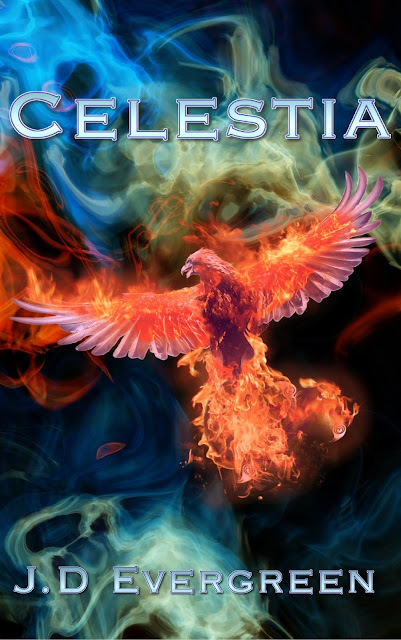 Celestia is the first book I was brave enough to publish. Another inspiration would be a thought I had about war - the thought was this: “Why is it that so many people are willing to follow someone in such a destructive pursuit?” I joked that it could only be dark magic that could cause so many good people to participate in such a destructive endeavour, and so Celestia was born. I just go nuts and write the whole story down. I don’t plan things, I sort of have a general direction and I plough in that direction. After that, I go through my book from start to finish and read it through, making sentences flow and fixing plot holes. Then comes the first edit, where I go through and cut things, swap out words, decide what’s important, every word gets scrutinised and evaluated and if it doesn’t add something to the story it goes. The story then goes to my beta readers who read the book and point out things I missed and need to fix and so on. The editing continues until I think the story is ready. In many ways, I am my biggest critic. Editing. Closely followed by marketing. Taking apart every piece of my book for editing is a painful and tedious process. I also have an intense dislike for marketing. Putting my book in the world terrifies me, asking people to read it, asking people to judge it - the whole thing scares me. But every day I drag myself out of bed and do what has to be done, even though I would rather be writing, even though I am more comfortable not asking people to read through and judge my work. In some ways, the hardest parts of writing brought out my greatest strength - my ability to work through my fears so I could put my book out there. Writing. I love the creative process, I love being surprised by my plot twists, I love watching the world I can see inside my imagination come to life. I love it when someone tells me they found a place inside my story, that it drew them in and kept them there. There are a lot of things to love about writing. That’s a hard question - every author inspires me, from the most famous to the ones you haven’t heard about. The fact that they could create a story, put it to paper and send it out into the world inspires me. Writing isn’t easy and unless you’re well known it doesn’t pay a lot either. Still, every day, every hour, a new author publishes a book, knowing they might not make anything from it. They do it because that’s what they love. Those people inspire me. If it’s what you love then do it. Practice every day, write when you don’t see the point, learn everything you can, use that knowledge. Don’t quit, even when you get a bad review, or you get knocked back by that agent or that publisher, don’t quit even when the tiny voice inside your head says you should. Follow your dream; do what you love. I am currently in a re-write stage of editing Shadowsoul. It is the companion story to Celestia; they aren’t part of the same series but they are part of the same world. Shadowsoul is about a young woman whose family was enslaved by Darkmor, how she escapes and her quest to save her people. This journey leads her to new friends, experiences and of course love. She encounters creatures she has never seen before, fights terrifying monsters and even has an interesting experience with vicious vegetation. 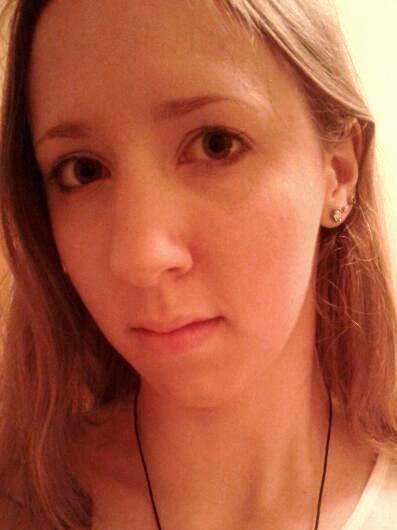 Her quest to discover the magical necklaces from her worlds’ past, following stories and legends of superhuman powers. The only problem is, now she has to find them. The Royal Assassin by Robin Hobb. My all-time favourite book, you mean aside from Green Eggs and Ham? That’s a hard one. If I absolutely had to choose, I would say The Chronicles of Narnia. I love the magical portal, the magical world and all the creatures that you find in it. To be able to create worlds for you to escape into, a world that you want to be a part of and enjoy. To be able to create people you can connect with and build friendships with. I would like to make writing my full-time career, and I will work until I get there, until I can spend every day writing and sharing my imagination with the world. I have an interest in ancient history and I am currently studying a postgraduate course in it. I love astronomy; I even have my own telescope. I love to paint and draw scenes from my stories; my house is filled with pictures of my own creation. Celestia is available to buy now. For more information about J.D. Evergreen and to stay up to date with her latest books, visit her website. A Californian road trip is on many people’s bucket list. Offering the chance to enjoy some incredible adventures and see some of America’s most famous cities, it really is the trip of a lifetime. My brother just got back from a trip to California, Vegas and Death Valley and it got me thinking - if I was lucky enough to visit this part of the world, where would I go? What would I want to see? How do you even start planning a big trip like this? Making a list of the destinations you want to visit is a great start. To help give you some inspiration, here are five places to add to your Californian road trip bucket list. The home of Hollywood and its many stars, you have to visit LA during your time in California. If you’re into sightseeing, you’ll find plenty to occupy you during your stay, from the Walk of Fame to the Hollywood sign, while the studio tours are also not to be missed. Soak up the glitz and glamour and explore one of America’s most well-known cities. A visit to Southern California must include a trip to San Diego. As well as the world-famous San Diego Zoo, the city also boasts some of California’s hottest weather. Enjoy a luxury stay at the Courtyard San Diego Mission Valley, which is conveniently located to enjoy the best that San Diego has to offer. Make sure you spend some time at Mission Beach and enjoy soaking up some of those rays. Okay, so Las Vegas isn’t in California (it’s in Nevada), but it’s close enough to form a part of your American road trip. While many people claim that the city is an expensive place to visit, there are ways to enjoy Las Vegas on a budget. Spend time exploring the many hotels and casinos, take in some shows and enjoy pure entertainment in this must-visit destination. San Francisco offers a complete change of pace from anywhere else in California and is a must-see to soak up the sights and sounds that this incredible city has to offer. San Francisco offers plenty of things to do, from seeing the Golden Gate Bridge to Alcatraz prison, and the nightlife isn’t bad either. If you prefer warmer temperatures, make sure you visit during the summertime, as temperatures can dip in northern California during the winter. Well, it wouldn’t be a visit to California without a trip to Anaheim and Disneyland! The original Disneyland Park, there is plenty of fun and excitement to be had here during your trip. Stay outside of the city to enjoy the best deals on hotels, or splash out and stay at one of the Disney hotels and experience a stay like no other. Home to two parks, the original Disneyland Park and the Disney California Adventure Park, it’s worth spending a couple of days here to make sure you see everything. A visit to California is an experience like no other, and if you make it a multi-destination trip, you’ll get to enjoy some incredible sights. Looking for travels a little closer to home? Check out some European destinations to add to your bucket list and enjoy some short-haul breaks packed with amazing adventures. Have you ever been to California? What are the sights that you would want to see? Let me know in the comments below! Fantasy author Meghann McVey is dropping by The Writing Greyhound for a chat about her life, her writing, and most importantly of all, her novel Rescuing the Prince. I grew up in Hawaii and currently live in New Orleans. Although I have a Master of Arts in English, I have worked in commercial nuclear power since 2008. I’ve been writing since high school and am very excited about the rise of indie publishing. In a way, I feel I’ve seen the beginning of a new era, a transition from traditional publishing houses to opportunities for everyone to get their work out there. I’ve always had an active imagination and was fortunate to grow up in Hawaii with friends who also enjoyed pretending, inspired by 80s and 90s TV shows and printed media. As I became older, I discovered Dragon Lance, The Wheel of Time, and was introduced to fanfiction, and that’s where I began putting the pen to the paper, myself. Fanfiction evolved into original fiction when my sophomore English teacher praised my work. Tell me about Rescuing the Prince. Rescuing the Prince is the story of Leah, a California girl who unexpectedly enters another world trying to rescue her boyfriend Gerry from a dragon. On her journey to save him, she finds her courage while facing overwhelming obstacles. Although Leah is about 20 years old, I see the book as a coming-of-age story. I draw heavily from my experiences moving from school to work and being in a different and difficult environment. The value of good allies in such situations can’t be overstated. I lovingly describe my first novel, Lachlan of Marinus, as a cinderblock. It’s long and dense and draws a smaller audience that likes that sort of thing. Rescuing the Prince began as a thought exercise to make my writing accessible to a wider audience, preferably a situation like Twilight, a series which is meant for preteens but can be enjoyed by teens and adults. Although I enjoy history, heroes, and elevated language, I also love a good romance with strong characters. 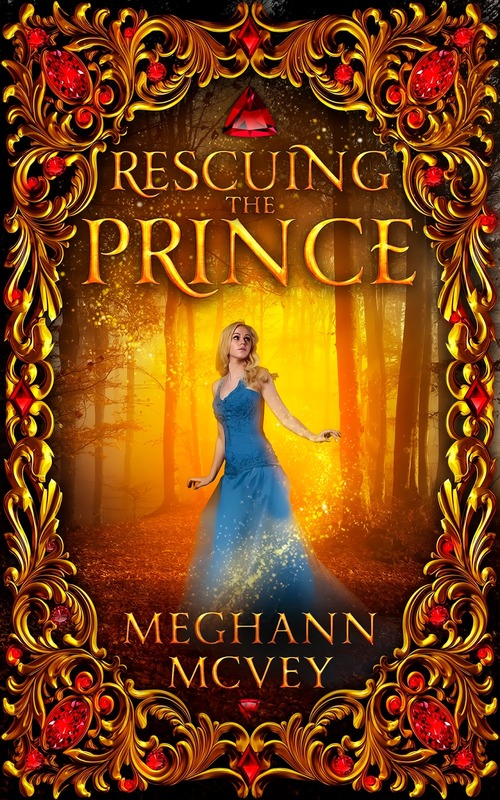 I wanted to see if Rescuing the Prince would be faster to write (it was; 3 years part-time versus the 10ish years part-time it took to get Lachlan of Marinus where I wanted it). Additionally, I think Rescuing the Prince reflects where I was in life, new in position at work and taking on responsibilities. We have my dad to thank for that. When I was in 2nd grade, he read a bit of The Hobbit to me every night before bed until we finished the book. As a kid in the late 80s and early 90s, I was able to enjoy many animated fantasy shows on TV such as Adventures of the Gummi Bears, My Little Pony, and Sailor Moon. And in school, I read various fantasy paperbacks such as the Shannara series, Dragon Lance, and the Wheel of Time. All this to say, I enjoyed the source material so much, I began to create something new with it myself. Finding time to write was a challenge because writing has always been my side gig. My schedule as a nuclear professional interfered in lots of ways – massive overtime, unexpected shift changes, and more. I liked to write on weekends, but these weren’t guaranteed. Sometimes I managed to write before the work day started when on “normal” day shifts. I made real progress by taking two “writing vacations” in 2016. I literally took a week’s vacation from work (twice), went to my parents’ house because I lived in a one-bedroom apartment with my boyfriend, and finished a good quarter of the book. I like to listen to music. Sometimes stuff would happen at work (good and bad things), and I’d think “I can use this.” And some variation would show up in the book. Queen Arencaster is based heavily on one person I worked with. Faxon has elements of another individual. You may have guessed that I butted heads with both of them. And now I have a private joke about them in print. I’m so bad. I used to just turn on the music and write. Now I like to outline, heavily. That way if a plot element or scene isn’t working, I can junk it without feeling like I invested lots of time and pretty prose. Promoting. My mom and dad helped me a lot with it, telling people in our community about my books. I’m so grateful for that. As far as writing itself, sometimes in revision, I realize I have to make a scene/plot element consistent by painfully going back over the draft and looking for setup opportunities. Frequently this is the result of not following Orson Scott Card’s advice to build the world first. (It’s such good advice, but I’ve not followed it yet... I drew the map for Lachlan of Marinus after the book was complete, and I keep meaning to make a map for Rescuing the Prince.) I’m hoping outlining and thinking more about the work in advance helps with this. Inspiration in all its forms. I think it is the closest thing to magic I will experience in this world. Having a day job that pays your bills will make your writing more true to yourself and the story. A sequel to Rescuing the Prince called Star Crossed. The Sookie Stackhouse series by Charlaine Harris and The True Believer by Eric Hoffer. Ideally, I’d become rich and famous from it, though paying the bills and saving for retirement with my writing would be a close second. Rescuing the Prince is available to buy now. Since becoming a published author, I often get asked for advice on how to write and construct a novel, particularly a thriller novel. I am by no means an expert, having only written professionally for two years. I will, however, try to give some advice based on my own personal experience. I cannot stress this point enough. If you don’t enjoy reading, your readers won’t enjoy your writing. In order to become a competent writer, you must immerse yourself in the written word. Without realising it, you will be internalising the key ingredients of your chosen genre. For example, in order to write a successful thriller, you will need a good understanding of how to create subtext, double meanings and twists. I once read somewhere that all readers aren’t writers but all writers are readers! I think this is very true. Due to the popularity of thrillers, the market is now flooded with ´twists you won’t see coming.´ Often storylines are similar and characters are lost to the plot. Of course, this isn’t always the case and there are still some incredibly good thrillers out there. My favourite thrillers are those which offer something completely unique as well as those which are character driven. A great example of this is I Let You Go by Clare Mackintosh. The twists and turns are second to none but the main character is what drives the story forward. Never lose sight of your character and aim for a storyline which hasn’t been done before. You cannot simply look at the end game when writing a thriller. Each chapter written needs to do two important things. Firstly, it needs to move the story forward and provide the relevant information. Secondly, it needs to keep the reader gripped. After each chapter, sit back and consider what the chapter adds to the overall story. Not every chapter needs to end of a cliff-hanger. However, I believe there are ways to create intrigue and suspense in every chapter which will persuade the reader to continue reading. Some writers have what are known as BETA readers. BETA readers are people who read the first draft of your manuscript and critique it. Whether you are using a number of BETA readers, or one trusted individual, listen to their feedback and learn to take criticism. When writing Trust Me and A Mother´s Sacrifice, I would periodically send chapters to my auntie for critique. I trusted her to be honest with me (also very important) and she was. Often she would confirm my suspicions that a particular chapter had stalled the narrative or an aspect wasn’t written as well as it could be. I was also using her to check that my twists were watertight! Having this constant feedback really helped me to shape both novels. Finally, If you aren’t enjoying writing, then your readers won’t enjoy reading. I guess this one is somewhat of a cliché and yet it is very true. There is no point trying to force yourself to write something which doesn’t interest you or something you cannot relate to. Write the story you want to read and entertain yourself as much as possible. I always try and choose subjects close to my heart as I know I will enjoy writing about them. Gemma Metcalfe is a Manchester-born author who now lives in sunny Tenerife with her husband and two crazy rescue dogs. By day, Gemma can be found working as a primary school teacher, but as the sun sets, she ditches the glitter and glue and becomes a writer of psychological thrillers. 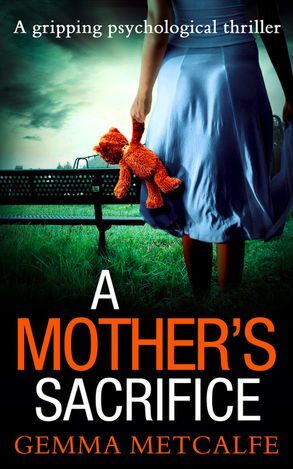 A Mother's Sacrifice is available to buy now. For more information about Gemma and her writing, you can find her on Twitter. Have you ever wanted to write a thriller? Let me know in the comments below! How much do you know about China? Beyond the obvious tourist destinations and well-known facts, your answer will probably be the same as mine - very little. 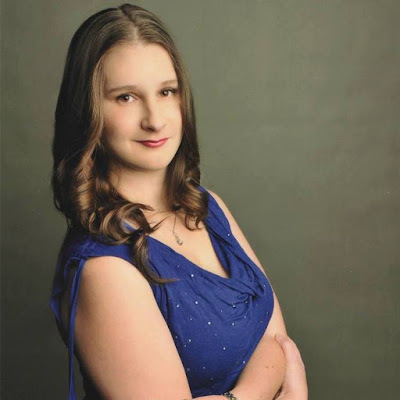 In the hope of overcoming this, I am welcoming author Charlene Chu to The Writing Greyhound to share the details of her recently-released book Song of Praise for a Flower. I was born and raised in the US and am half-Chinese. In my day job, I work as a financial analyst covering the Chinese economy and when I have downtime I write. I split my time between Washington DC and Hong Kong and spend an inordinate amount of time each year on planes and in airports. I was very young when writing first piqued my interest. Several times a week our grade school teachers gave us lists of words to make sentences with. Whenever I got stuck, I would ask my mother for help. She would always give me lengthy, intricate sentences that were annoying to write out, but they taught me a lot about writing. It was my first exposure to how the same message can be communicated numerous ways and how words carry tone and rhythm. Tell me about Song of Praise for a Flower. Many years ago my now 92-year-old Chinese cousin, Fengxian Chu, wrote her life story for her children and hid it in a bank vault. The manuscript sat there untouched for two decades until I tracked her down several years ago filled with questions about our family. 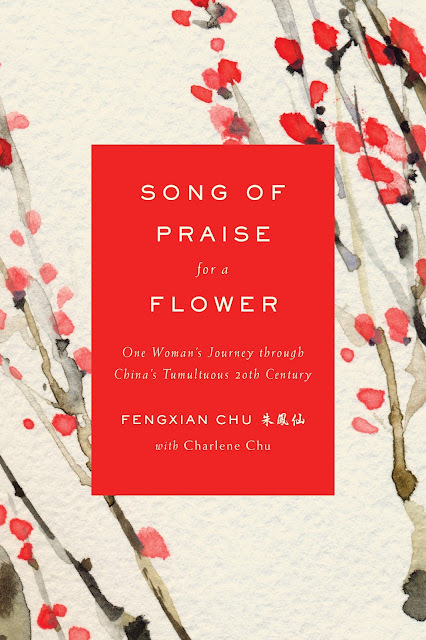 Song of Praise for a Flower is the English rendering of Fengxian’s memoir. It is a moving story of resilience through adversity, the historical struggles facing Chinese women, and China’s tumultuous transition into and back out of communism. It is a living history of the past century in China, which has seen more dramatic change than anywhere else on the planet. Fengxian was born into a world where it was common to bind women’s feet, forbid their education, and hide them behind closed doors until marriage. With grit and fortitude, she manages to break these barriers, but later in life, she is confronted with devastating challenges during China’s transition into communism under Mao. That she survived everything she did and at this late age is publishing her story is a triumphant final chapter in a very difficult life. What’s the best thing about writing non-fiction? I’ve always found non-fiction more compelling than fiction. The fact that the stories actually happened make them so much more powerful for me. As a writer, non-fiction gives you boundaries and a core narrative to work with, which in some respects makes it easier than writing fiction. The hard part is feeling the need to do justice to the story and the people involved. There is a sense of duty and obligation that comes with writing non-fiction that adds extra pressure on the writer. I’m an only child of much older parents, both of whom led very colourful lives before they met each other. I grew up hearing about their stories, which I think is what made me so fascinated with the past. Why do you think it is important to tell diverse stories? Because the world is so much bigger than our narrow daily experience. It’s important to be reminded of that, and it helps keep our minds open to the richness and diversity the world has to offer. The fact that this incredible manuscript lay hidden in a bank vault for nearly two decades and that I was the sole person in a position to bring it to light was very motivating for me. Opportunities like this are rare, and we must seize them when they arise, no matter how difficult it may be. I go into total isolation. It’s the only way I can leave this world and enter the world I am writing about. In the case of this book, I had to switch gears from assessing mountains of data China’s economy and banks to writing about life in rural China in the mid-1900s. It wasn’t easy. For several years, I came home from work every Friday night, shut the door, and didn’t open it until Monday morning when I went back to work. Occasionally during vacations, I would do that for a week or more straight. The fact that I require total isolation to get into my writing zone can make it very hard to keep up with the rest of my life. Writing is all-consuming for me, which is difficult when I have a demanding full-time job in a completely different field. I just finished When Breath Becomes Air, which is about the challenges of a young doctor who gets cancer. Shantaram by Gregory David Roberts. It’s a page-turner with memorable characters in a fascinating setting. You can’t ask for more. Having grown up in Colorado, I like to be outside – hiking, kayaking, bicycling. Song of Praise for a Flower is available to buy now.